Salt is a kitchen essential, and our artisanal sea salt from Trapani will replace your everyday commodity salt with a truly artisanal product. 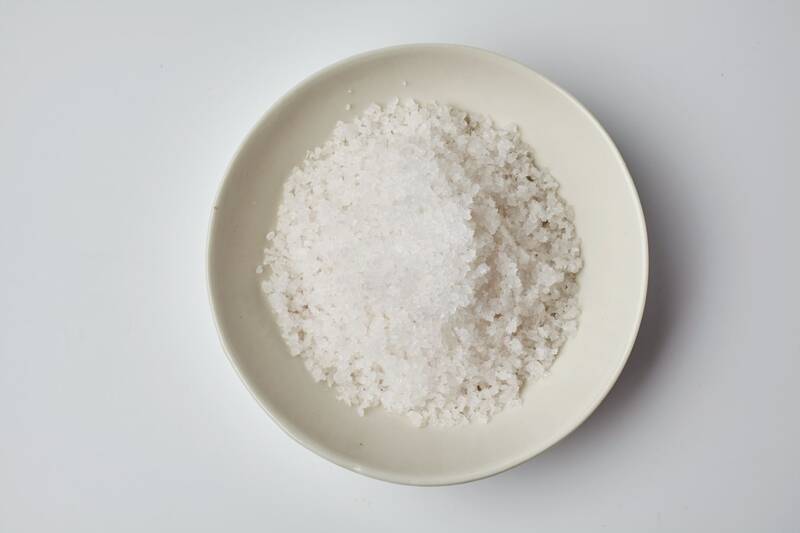 Gathered from the low waters of the Mediterranean Sea along the northwest coast of Sicilia, this salt is naturally rich in iodine, fluorine, magnesium and potassium, with a much lower percentage of sodium chloride than regular table salt. Trapani sea salt adds more “salt” flavor to food, with less sodium, so use a pinch to naturally enhance the taste of all your favorite dishes. Sale grosso, or coarse salt, is ideal for preserving foods; its larger grains penetrate food more slowly, resulting in a more even dehydration. The grains dissolve quickly in water, so use it for brine solutions or boiling pasta. Each spring, the salt pans are filled with seawater, which is left to evaporate in the heat of the Sicilian summer sun and strong African winds. As the water evaporates and the salt starts to crystallize, the fiore del sale are the young salt crystals that form on the top. The salt is completely unrefined and untreated, unlike industrial salt, which is harvested by machines that pollute the salt; it then must be washed and stripped of its natural minerals, which are re-added with chemicals. Whole Fish in Crosta di Sale - A Recipe Anybody Can Do. Sea Salt of the Slow Food Presidium "Sale Marino Artigianale di Trapani"